Administrative Regulations and Bylaws for Ashihara Karate Dojo's under the aegis of Kokusai Karate-do Ashiharakaikan. Ashihara Karate and its members are dedicated to serving our communities and its citizens by nurturing lifelong empowerment of people to constantly improve their state of health and well being, mental and physical fitness, self-confidence and sense of self-worth, with a commitment to personal dignity and respect for life through the practice of traditional karate. The following are the rules and regulations by which the A.K.I. is conducted. The S.A. Ashiharakai Headquarters shall, after this, be designated the HONBU. The Honbu shall be the parent organisation for all Ashiharakai branches under the aegis of Ashihara Karate International and its Headquarters shall be in Retreat, Cape Town, South Africa. All branches of Ashiharakai Karate Dojo's shall constitute the Ashihara Karate International Organisation. A Technical Advisory Committee of black belt instructors appointed by the Director shall govern said branches and make all the rules and promotion of students. 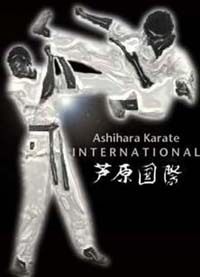 Ashihara Karate International is a body which is independent of all other organisations. It was founded by its Director, Kaicho Hoosain Narker with the support of many Branch Chiefs. The grading syllabus, the text of the Kata and the training methods of the organisation are all the work and ideas of the Director and the Technical Advisory Committee. The purpose of Ashihara Karate International shall be the advancement of the skills and spirit of its members. The Honbu shall do so by providing support, information, quality education, access to resources and training and advice and to its members. Only well organised dojo's of good technical standard will be accepted. Each branch shall be headed by a "chief" who shall be approved as such, only after due application is made to the Honbu. Recommendation from the Regional Headquarters or branch office (if existing) are required for the establishment of a branch dojo or the appointment to Branch Chief. Before a dojo is accepted for membership, it is recommended that the instructor or representatives from the dojo in question visit the Honbu for a conversion training course. As an alternative, it can be arranged for one of Honbu's instructors to visit the dojo in question. There is no set time for conversion to Ashihara Karate, but all dojo's joining the Organisation, are expected to complete the process as quickly as possible. The pace of the conversion depends on the dojo in question. A. Affiliated schools are those schools which adhere to the teaching curriculum established by the Honbu, its grade ranking and its testing procedures. All ranking issued by affiliated schools qualify for the Honbu's certification program. B. Associate schools may teach Ashihara Karate or incorporate some Ashihara Karate in their own teaching program but do not follow the Honbu's curriculum or testing procedure. Members of associate schools may petition the Honbu for rank recognition. Associate schools can upgrade their students by changing their teaching program. A. He or she must be ranked at least a brown belt. He or she must be able to document their progress in Karate, with valid certification. B. He or she must be the instructor of a well-organised dojo. C. He or she must be a trustworthy and humble person of good moral character. D. He or she must submit a resume of their karate career. E. He or she must be able to teach the form of karate developed by the Honbu. F. He or she must attend an intensive conversion course at Honbu. A. He or she may recommend his or her students for higher promotion to the Honbu. Applicants for Dan ranking must take promotional examinations at the Honbu or at a major training course or Summer Camp. B. Branch Chiefs holding the rank of 1st Dan may grade students up to the rank of 3. Kyu Green Belt. Branch Chiefs holding the rank of 2nd Dan may grade students up to the rank of 1. Kyu Brown Belt. Branch Chiefs holding the rank of 3rd Dan may grade students up to the rank of Shodan. Branch Chiefs holding the rank of 4th Dan may grade students up to the rank of Nidan. Branch Chiefs holding the rank of 5th Dan may grade students up to the rank of Sandan. Branch Chiefs holding the rank of 6th Dan may grade students up to the rank of Yondan. The above is applicable only if he or she receives written authority from the Honbu. The Examiner must ensure that the student's membership is current before the student may be allowed to test. C. He or she may conduct tournaments, contests and demonstrations under the Ashihara banner. (Subject to his or her Regional Headquarters approval). D. He or she may, subject to the approval of the Honbu, establish and enforce rules and guidelines for the preservation and enhancement of Karate. Each Branch dojo shall be subject to and must enforce all rules and directives of the Honbu. Honbu rules and directives take precedence over those of Branch dojo's. The AKI has standardised Testing Procedures and Rank Promotion Requirements. The Student Handbook contains the requirements for every rank from 10th Kyu White Belt up to and including 3rd Dan Black Belt. Requirements for 4th Dan Black Belt or above are provided to Chief Instructors by the Honbu. The standardisation of Promotion Requirements helps to ensure consistency in what each student learns, what the instructors teach at each level, and maintains the standards of the AKI. Though the "types" of techniques to be taught are outlined, specific techniques are up to School Instructors. The success and development of Ashihara Karate International depend to a great extent on the compliance to certain requirements and standards as laid down by the Honbu, for the standardisation of grades. This is why the Honbu has issued rules and regulations to control the awarding of grades by Branch Chiefs with grading status. Branch Chiefs should always strive to improve the technical standard of their students. Promotions should be regarded as a reward for hard and diligent training on the path of the student. Branch Chiefs must take into consideration that Karate is a free time activity for most students. Karate, therefore must take second place to the basic responsibilities of life, such as education, work and even the family. A. Grading Status is awarded to Branch Chiefs, who have proven that they have the technical knowledge and ability to assess the standard of students at a grading examination. B. Branch Chiefs do not automatically receive grading status. Those Branch Chiefs with grading status are the only persons who are authorised to award grades within the organisation. C. Honbu has set the promotional requirements and grading syllabus. All Branch Chiefs must adhere to these requirements. D. The Honbu will monitor the promotions awarded by those Branch Chiefs with grading status to assure that the norm for grading standards is being adhered to. Any Branch Chief not adhering to the required standard, can forfeit their grading status. E. Although the Branch Chief with grading status is solely responsible for the grades awarded on his/her name, it is preferred that tests take place before a panel at which the Branch Chief adjudicates. This is especially applicable to those testing for Shodan rank. F. Due to various geographical and other considerations, the AKI policy of Grading Status may vary from country to country. G. Persons with Dan grades issued by organisations other than Ashihara Karate International, who wish to have their Dan grades recognised by Ashihara Karate, will be tested according to the current grading syllabus. The aspirant must have been an active member of the organisation for at least one year. They must apply for permission to test in advance. H. Persons with Dan grades issued by organisations other than Ashihara Karate International, who have been accepted and approved by the Director, will be eligible for testing to the next Dan grade, after two year's active membership, provided that they have an active time in grade which exceeds the minimum time in grade requirements. Persons with a grade less than Shodan, will be addressed as "Kohai" during the time that they are instructing a class. Persons with Shodan or Nidan will bear the official title of "Senpai". Persons with Sandan or Yondan will bear the official title "Sensei". 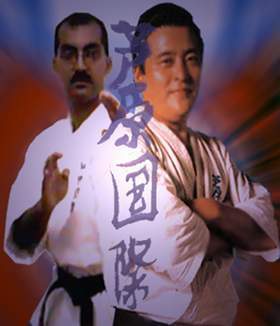 Persons with Godan or above will bear the official title of "Shihan". The official title of the Director will be "Kaicho". All Branch Chiefs automatically receive the title of "Shibucho". All certified Instructors will receive the title of "Shidoin". Honbu takes note that because of distance and the spread of members all over the world, it is difficult to attend regular promotion testing. We are also aware that it is physically impossible for the Honbu or its instructors to travel the world all the time correcting technique and forms. Therefore, the Honbu established the External Testing Program. This program is available to members who, due to financial obligations, or because they live a great distance from the testing location, are unable to attend an promotion testing at a registered AKI school. To assist this program, the Honbu has been introducing a series of video tapes in which all the basics and techniques are shown in detail. Members can then train accordingly and in this way, a level of standardisation can be maintained. Those unable to attend regular testing may submit a video tape of themselves performing the requirements as per the video's and Student Handbook. The Honbu will review such tape, analyse and evaluate your performance and then forward its comments back to you. Once the Honbu has been satisfied, appropriate certification will be issued. All Branch Representative shall meet every two years for three days in Retreat, Cape Town, South Africa. The purpose of this meeting is to give the Branch Chiefs the opportunity to meet each other and to exchange greetings, ideas and to make recommendation on or amendments to the rules of the Organisation and to receive additional advanced training. As many visits the Honbu for our annual International Championships, those that are able to, can then coincide their visit to attend the championships at the same time. It is expected of the Representatives that after they return to their respective regions, to continue to communicate with each other in order to develop and foster better understanding and relationship. At this point in time and development, there will be cases where the structure is not in operation, therefore the Honbu will issue directives to cover each individual case. A. Each branch representative shall send two of his or her senior students to the Honbu for a Referees theory course which will last for one week. B. All branch chief must come at least once every second/third year for a minimum period of one week to further their knowledge of Ashihara Karate. C. It is required of the Branch Chief to regularly invite Honbu instructors to his or her region/country to offer seminars on Ashihara Karate and related matters. Payment of travel expenses for visiting instructors depends on the financial position of the hosts and is a matter of negotiation between the host and the guest instructor. D. An Instructors Gasshuku lasting one week will be held in a different country every second year. This gasshuku will be restricted to Senior Instructors. The host country is to provide accommodation for all participants. A small fee will be charged to cover expenses. Member countries to pay travelling and other expenses of their representatives. The Honbu has a small, sparsely furnished dormitory available for Students or Instructors in need of accommodation. Those wishing to make use of the dormitory must pay a nominal fee per day for accommodation. Cooking utensils are provided for meal arrangements. ** It is expected of the student using this facility to keep both the dormitory and the dojo in a clean state. A. He or she shall pay a once off Dojo registration fee. The Honbu will issue a license biannually to the instructor to operate an official branch. B. He or she must pay an annual registration fee per each individual student. 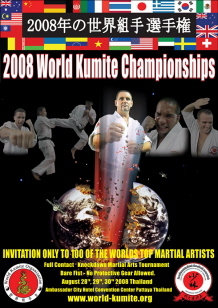 This fee is to register the student with Ashihara Karate International. The instructor may charge a fee in excess of the stipulated amount. Registration fees must be submitted by the end of March every year, and the fees for any new students joining, quarterly thereafter. 1. Membership booklets - Membership booklets will be issued to all new members registered for the first time. 2. Affiliation stickers - Affiliation stickers will be issued to all members on the renewal. Upon receipt of the annual affiliation fees, the Honbu will issue a receipt and return it with the appropriate number of affiliation stickers. These stickers are affixed on the inside cover of the membership booklet of each paid-up member. C. He or she must register all promotions awarded by sending the relevant information and promotion fee to Headquarters. D. He or she, if they so want to have their current rank certified must send the following documents with the required certification fee. 1. One copy of Black Belt Dan certificate. 2. In case you cannot obtain a copy of your last Rank certificate, send documents supportive your rank such as a letter of recommendation from the Instructor or Authorised person who tested you. 3. 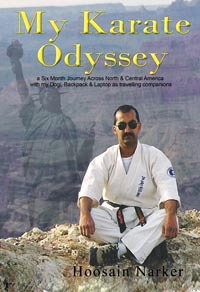 A resume including Martial Arts training history. Funds submitted to the Honbu will be used to improve and educate the various branches of current and feature events as well as for the maintenance of the Honbu. Support will also be given to the regional and branch offices and their members. All fees are non refundable. Do not send transfers for small amounts, ie. 2 membership booklets, 1 certificate, etc. Since banks charge for all services, it would help if you adhere to the quarterly payment method. If this is not possible, then send fees in US Currency by registered post. A. A monthly report showing the progress made by the Dojo in its training programme. B. A quarterly report in which he or she registers all his or her new students. C. An annual membership report listing each member, their rank and date of membership. This annual report must be received by the Honbu by the end of March each year. The Branch Representative will where possible, purchase all training equipment bearing the logo, and Trade Mark of Ashihara Karate, from Ashihara Karate International or other authorised suppliers. Foreign branches may produce T-shirts, etc. but must send samples of products to the Honbu. Representatives are not to enter any commercial projects involving Ashihara Karate without informing the Honbu and receiving its approval. The Representative must at all times ensure that no unauthorised copies is made of any of the texts on Ashihara Karate as supplied by the Honbu. Branch chief's are allowed to copy any material - the only condition is to advise the Honbu. In countries/regions where the National Sports Council or the equivalent recognises a National/Regional Karate Association as the official governing body of Karate, it is recommended that the Branch in question be a member. All Regional Headquarters and all Branch Chiefs are obliged to comply with the above By-laws. Failure to do so on the part of any Regional Supervisor or Branch Representative will result in a review by the Honbu. Appropriate action will follow the review. The Honbu and all branches will co-operate and comply with all the regulations for the advancement of the skill and spirit of true Karate. NB. Any matter not specifically provided for in this agreement, shall be dealt with by the Director.